A slip and fall injury may not sound serious, but it often is. Especially among older persons, a slip and fall can result in a debilitating fracture of the ankle, wrist or hip. Muscle tears, strains and sprains in the back and neck are not uncommon, and even brain injury is possible when the injury victim hits his or her head on a hard surface. Unless we suffer from some medical condition, most of us do not slip and fall unless some obstruction or slippery surface causes us to lose our step, and this most often happens due to the negligence of the property owner. Property owners owe a duty to provide a reasonably safe environment for those lawfully on their property, and the Law Office of Gary W. Fillingim enforces that principle by helping Mobile slip and fall victims recover compensation for their injuries from irresponsible property owners. In many states the status of the injury victim in relation to the property (invitee, licensee, trespasser) determines the extent of the duty of the landowner toward the person. In Alabama, however, property owners owe the same duty to all persons who are legally on their property. This duty involves exercising reasonable care to keep the premises in a safe condition, including preventing conditions that could lead to a slip and fall. Just because an unsafe condition existed that caused a slip and fall, that does not necessarily mean that the property owner can be held liable for the accident. Alabama law requires that the property owner had notice of the danger but failed to warn the public or fix the situation in a reasonable time. Even if the owner did not actually know the condition existed, it is enough to prove that the owner should have known about the condition, which is known as constructive notice. Actual or constructive notice can be established in several ways, such as by proving that the condition existed for an unreasonably long period of time, such that a diligent property owner would have discovered the condition by making routine inspection of the premises. Actual or constructive notice is not always easy to prove. Also, property owners and their insurance company lawyers sometimes claim that the injury victim was to blame by not watching where he or she was going. At the Law Office of Gary W. Fillingim, L.L.C., we perform a thorough investigation of the accident scene, including taking statements of witnesses and employees, obtaining security camera footage, and utilizing industry experts or accident reconstructionists to help determine the facts of the situation. 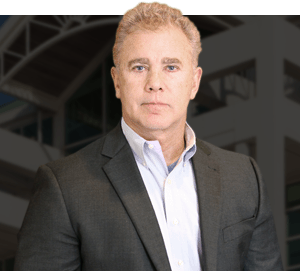 With over 20 years of experience in slip and fall and other personal injury cases, attorney Gary Fillingim knows what to do to prepare and present a strong case that establishes the property owner’s liability. When property owners fail in their duty to provide a safe environment for customers, members of the public and others who are lawfully on their property, justice demands that the negligent property owner compensate the injury victim for their medical expenses, lost income, pain and suffering, and other legal damages. If you have been injured in a slip and fall on another’s unsafe or dangerous premises, contact a seasoned personal injury attorney who will work to see that you are fairly compensated and not forced to bear the financial burden of this injury. In Mobile, call the Law Office of Gary W. Fillingim, L.L.C. at 251-445-7257 for a free consultation on your claim.